It’s no secret that some directors cruise through their term of board service with minimal involvement. McKinsey Company, a well-known consulting firm, has suggested five steps that can be used to counteract this passivity in for-profit boards. * With a few tweaks, McKinsey suggestions (in bold) are relevant to the nonprofit board environment where director engagement is often a challenge. Engaging between meetings: Nonprofit boards traditionally meet monthly, bimonthly or quarterly. Unless the board is a national one, these meetings range from one to three hours, with the three hours being typical of quarterly meetings. The meeting agendas are usually packed, and they leave little time for individual directors to enhance discussions. ** In addition, a sense of anonymity develops among board members who do not know each other personally, a significant barrier to team building. I have encountered nonprofit boards where disconnect between board colleagues is simply a nod—or less– when passing each other. Board cohesion based on interpersonal relationships has an important impact on the quality of board discussions. 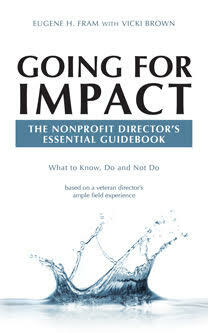 It allows a board member to more fully understand the perspectives and goals of his/her fellow directors or “where they’re coming from.” With this information at hand on both sides of a discussion, it increases the possibility of creating “win-win” impacts for the nonprofit. Engage with strategy as it’s forming—do not just review & approve it: Traditionally most of what becomes an organization’s strategy will emanate from the management and staff. But the board must proactively help to form strategy or step in to fill gaps when the management refuses to do it. In forming strategy the board has an obligation to make certain all viewpoints are heard. Staffs as well as management ideas need to be considered. In addition, the board may need to take direct actions when the organization fails to fulfill a mission obligation. Example. A counseling agency only offered services during normal business hours–9 am to 5pm, five days a week. Its board required management to offer services, 24/7 with an emergency line when the office was not open. The management, a creative group, found a way to do it, without increasing costs. Cultivate talent: The nonprofit board has several responsibilities in regard to talent. First, it must engage and then evaluate the CEO. This is a complex duty because the vast majority of the board members are not full-time employees and many have only tangential attachments to the organization’s mission field. Second, the board must overview the quality of the staff talent so that it is in line with budget constraints. Third, it must be aware of those within the staff who may be promotable to management. Finally it must be alert to succession opportunities internally and externally in the event the CEO was to leave abruptly. Succession planning for the CEO must also include considerations about the talents that will be needed beyond the current one. Engage the field: Since nonprofit board members have full-time occupations outside the mission field, it’s important that they receive a flow of information about leading edge changes taking place outside the organization. However, CEOs sometime can operate a “mind the store” nonprofit, by looking at past successes without a visionary component. To help avoid this occurrence, specific directors might be assigned to become more deeply familiar with key projects in order to assess their progress. Engaging on tough questions: A difficult task on a nonprofit board where politeness is an overriding value. 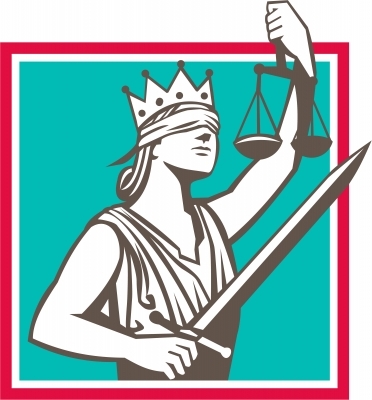 Peers are friends and business associations and generally there are few potential penalties for “going along to get along.” In all my decades as a nonprofit director, I have yet to see one board member ask that his/h dissenting vote be recorded in the minutes. A necessary action when he/she feels that the vote being passed by the majority may lead to harming the organization. ** In California, the Brown Act might prohibit such meetings. The Brown Act covered concerns over informal, undisclosed meetings held by local elected officials. City councils, county boards, and other local government bodies that were avoiding public scrutiny by holding secret “workshops and study” sessions. ← Nonprofit Board/Staff Relationships: An Uncomfortable Partnership? Great article on improving the effectiveness and efficiency of board meetings. Too often meetings are just formalized approvals, many of which could be done without meeting. The purpose of a board to provide oversight and discussion of the business. That means SALES STRATEGY and LONG TERM goals. This should be the majority of the meeting time of every meeting, especially those boards that meet quarterly. There are tools out there to help you and your board get better results out of your meetings if you look around. Thanks for your supportive comment. This post is being well received with well over 600 views, and counting, since it was posted on 6/18.